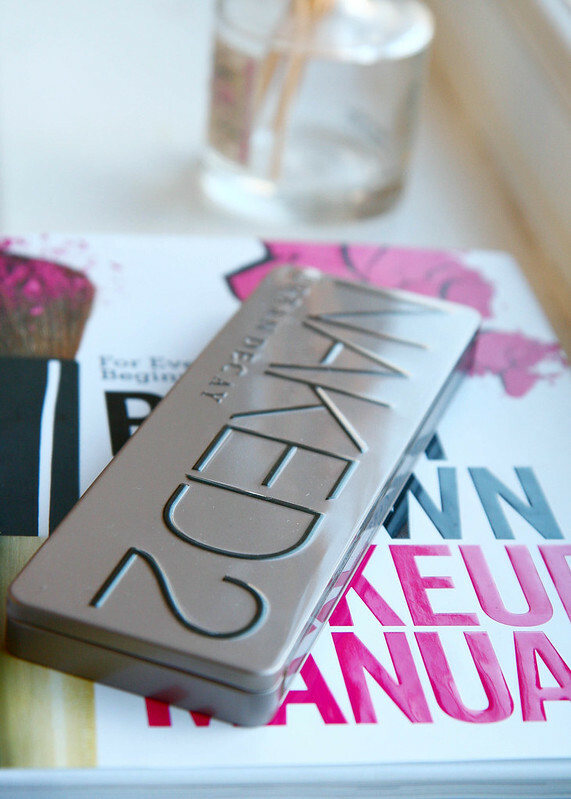 A young friend of mine who's brilliant at make-up took pity on me and gave me a Bobbi Brown manual and the ever popular Naked palette from Urban Decay. All my favorite shades in one box. Genius! I know... I know.... For a clueless cosmetics shmuck like me, I'd never figured it in a million years that it would be far cheaper and convenient to get a palette than little pots which are often a pain to locate when I'm in a hurry. I love reading intelligent books. Books that rock my world and change my life. Like cookbooks. Hah! Fooled ya there, didn't I? Did you think I was going to say something brilliant like - 7 habits of Highly Effective People or a biography of a brilliant dead person? 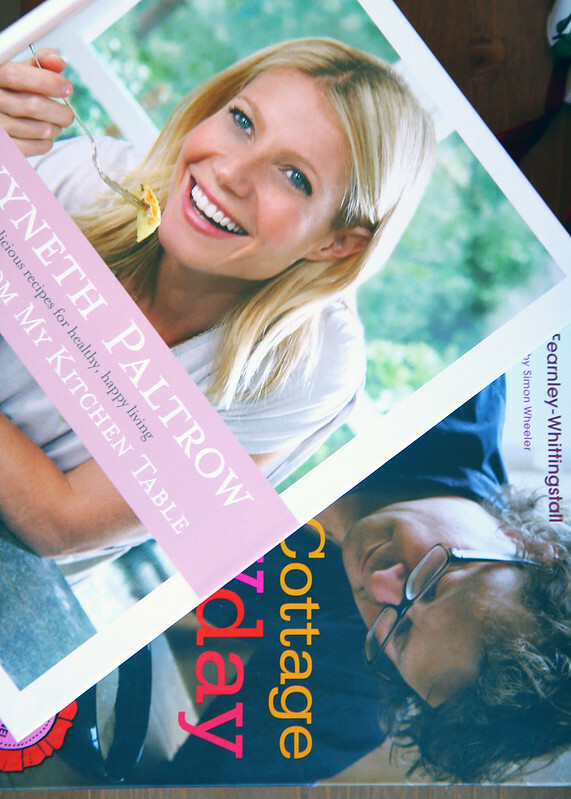 Lately, I've been enamored with Gwyneth Paltrow's Notes from My Kitchen Table and River Cottage Everyday by Hugh Fearnley-Whittingstall. The recipes are simple to follow and the steps are limited to a few. I don't have to fly to the moon to get some obscure ingredient that doesn't exist on this planet. I'm a mom. I work. I love good food. But I can't deal with pretentious food that's the size of a peanut and cost £50 even if the Michelin chef looks like a Greek God. I wouldn't turn down a Diptyque candle but at the same time, I feel rather guilty for burning a lot of money in 40 hours. I've been hunting for good alternatives. I'm rather sensitive to fragrance. The ones seeped in chemicals trigger off my asthma in a bad way. 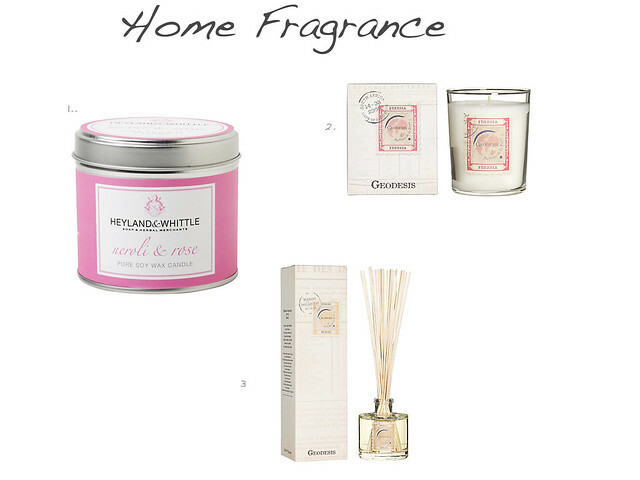 These soy wax based with natural oils from Heyland & Whittle and Geodesis are fabulous. So, what cheap thrills are rocking YOUR boat at the moment? You're too funny, M! Cookbooks can be considered intelligent, no? It indirectly helps to fuel the brain for intelligence? :P Besides, there's so many different types of intelligence. As for cheap thrills, none at the moment. I have been pretty good with my shopping ban, I'd say. i use that palet every week, love it! xO! 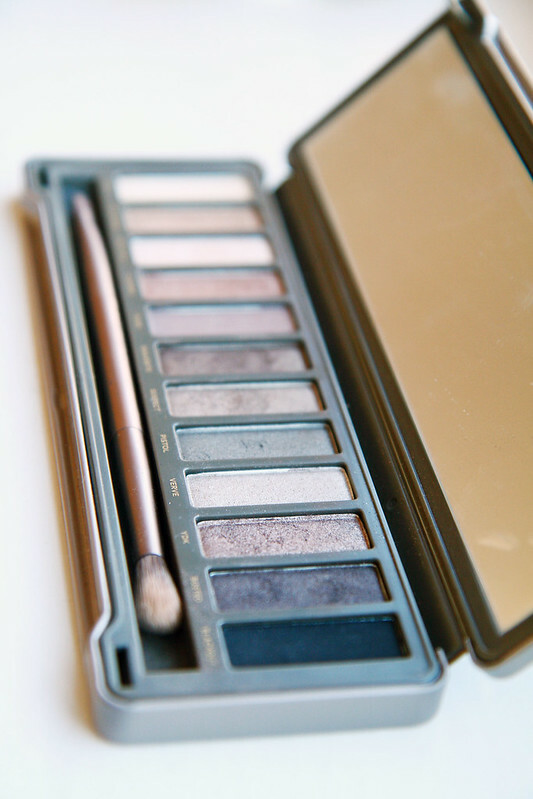 Ooh the naked palette..I have been thinking about purchasing it! Everyone raves about it!! I quite fancy that River Cottage book, I just posted about my cheap thrill! thanks for recommending some soy wax candles - i'm making an effort not to buy paraffin candles anymore. i met a lovely lady who runs Made in Provence http://www.madeinprovence.co.uk/ at the good food show the other week and she had some divine smelling candles - i bought the lavendar and orange one, yum! My new Winter Signature candle from The White Company has been rocking world since it arrived earlier today! I love Diptyque candles too, I have a couple but like a Christmas aroma at this time of year! I think it may be time for me to start thinking about a makeup palette. I just need someone to show me how to do it all - I know I wouldn't read a book. I think I will suggest to the girls a makeup session at a counter for our next girls day out and see what happens at the end of it. I will probably be very frightened or converted. Cheap thrills - Lyn Harris has done a perfume range for M&S this year at around the £25 mark which is more than half the price of her regular line. I think I might need to check it out and see if it needs to go down on my Christmas list. It's time for a change. hey marlene, really glad to have a mini review of gwyneth's book. been contemplating it for a while - i subscribe to her newsletter and her recipes on there always sound really good. have not yet attempted any of them but i'm going to buy that book on the weekend i think! my number 1 pet peeve is trying to find substitutes for ingredients that are hard to find! Love your attitude to cooking. OK now I really have to get her book and she sounds like my kind of assemblaaaage cooking. I love Bobbi Brown and they way they do make-up. I got a full make-up tutorial 15 years ago in Harrods and have not changed my look since. (maybe that's not such a great thing...)One thing I loved was how they used purple eye shadow which really does the trick. I have both Naked palettes, but since packing and then moving house I have lost the will to put effort into my makeup...This must change. They are I think though the perfect palettes for people who like neautral office friendly looks. Hilarious! I sometimes wonder why there are even cook books out there full of 'obscure ingredients' when obviously noone would be able to recreate. I do love my peanut sized pretentious food though haha. I'm with you on cookbooks and 'cheaper' candles (Anthropologie is my favourite source for the latter). I've been eyeing the naked palette for a while, I can't decide whether to get it or not but all the colours look gorgeous! LOVE those boots and coat on you! Such great colors. I love your small luxuries. What a fun way to treat yourself. Umm... I love those Bobbi Brown makeup books- especially the early ones. Full disclosure, Bobbi Brown is our neighbor at my parent's home and growing up all of us girls and our mom's appear in those first books. She or her staff are the only people who people who touch my face. That's incredible, Lindsay!! I remember reading her earlier books years ago. Who knew I'd be communicating with someone in those pages years later. Regarding scented candles, Durance (a south-of-France based company) makes great (and quite cheap -no more than 20 euros) ones. They have several shops in Paris (I know you come here quite often!) and they might ship worlwide (not sure about this though). This, a brand new lipstick and a little fluffy pastry on my way home are my favorite little luxuries.. Thank you for the tip! I remember looking at a website and seeing the brand Durance and wondered what it was. I'll check them out now.